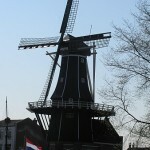 Haarlem is the eight largest city in Holland, and the city is centered around the square “Grote Markt.” In the area around the Grote Markt, you will find shops, cafes, restaurants, attractions and some canals. It takes around 10 minutes to walk from the railway station in Haarlem to the center of the city. The Railway station in Haarlem is in itself an attraction, as the first railway line in Holland which opened in 1839 went between Amsterdam and Haarlem. 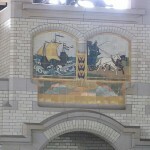 The station is built in Art Nouveau style, and the tiles at the station are one-of-its-kind in Holland. 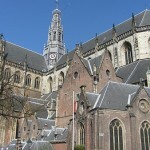 The main attraction in Haarlem is still the Grote Kerk, Big Church, at the Grote Markt. The church was built between 1400 and 1550. In 1735 the church got its organ, which both Handel and Mozart used, and they were amazed at its quality. For those interested, a great Frans Hals museum can be found in Haarlem.